To mark the start of the new year, Computer Arts magazine wanted to create a memorable cover for their first edition of 2018 – issue number 275 –by teaming up with Celloglas to apply four different finishes to their New Year’s publication. This edition includes a four-page cover, where a two- page insert has been bound behind the cover and in front of the first text page. 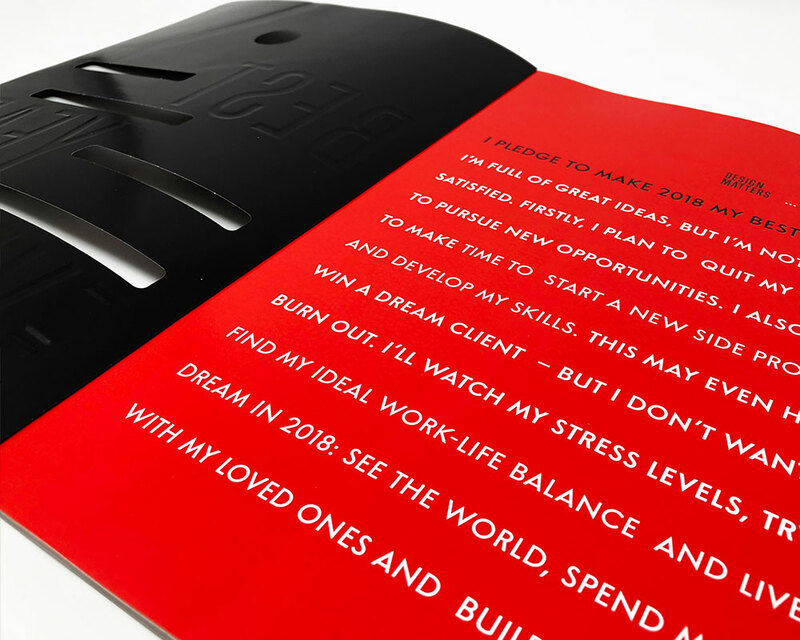 The two-page insert has a series of new year’s resolutions printed on aimed at designers, such as ‘quit my boring job’ and ‘win a dream client’. Six apertures have been die cut from each cover, allowing you to see the text underneath. The covers were planned four up on a sheet, which means the cutting form used had 24 apertures, allowing for four covers to be die cut at the same time. A male and female stripping unit was used to do this, and all the pieces from the apertures fall into a bin directly underneath for a quick and easy tidy up. When preparing the sheets for die cutting, Celloglas’ team ensured that the alignment of the front cover and the insert behind was perfect, a crucial factor to allow the reader to clearly see the text underneath. Other finishes were also applied to the cover, including an overall soft touch varnish. This offers a velvety feel and gives a matt look for a sophisticated finish. For the text on the cover, a flat matt silver foil was used, which contrasted against the black background. For the main headline, the words ‘BEST YEAR EVER’ were embossed to give another dimension to the cover. This was done using a fluted raised round foiling die. 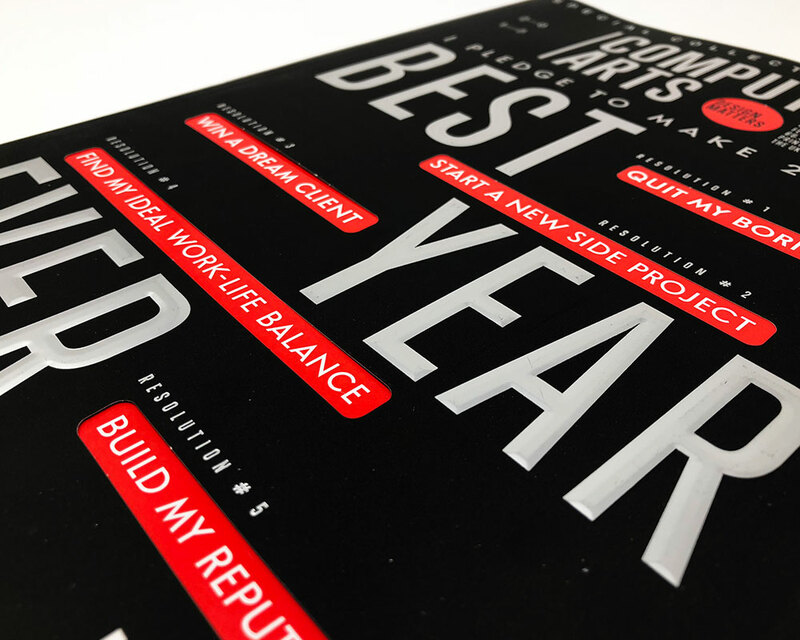 The issue includes various inspiring articles relating to the new year’s resolutions outlined on the cover; including how to build your reputation, start a new side project and how to find your ideal work – life balance. Other pieces include a look at how you can ‘build a successful studio from scratch’ which looks at how design agency Fiasco did just this.